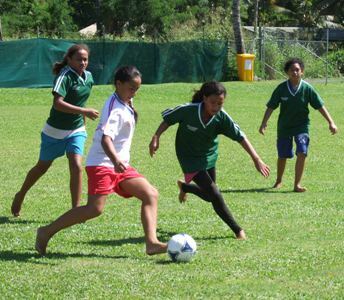 This Annual Competition had participation from eight schools around Rarotonga with 8 teams of girls and 8 teams of boys representing their school. The support of the parents, teachers and teams encouraged the players to go the extra mile, cheering could be heard around the Complex. Tahiri Elikana, CIFA Development Officer said that this is the fifth year for this annual program and with the skills demonstrated on the field it is clear that it has been successful. “It was great to see lots of energy with the Primary Schools showing off their dribbling skills and goal scoring ability,” Elikana says. The matches played in hot conditions were evenly poised with several players in each of the schools as standouts during the competition which, created highly competitive games. We encourage you to come and support our youth and schools.